Wish you could place a wireless switch anywhere, to turn on/off any appliance or lamp, but don't want to worry about batteries? 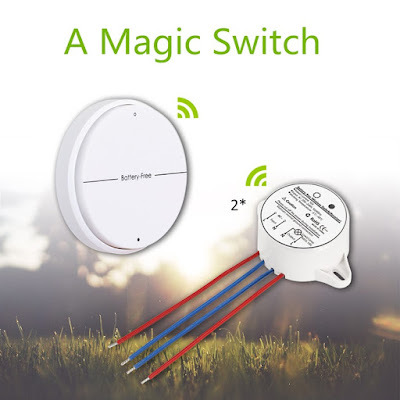 Well, check out this Magic Switch that can be yours for less than $10. There are lots of option for wireless on/off switches, but nearly all of them require batteries to work. The one I bring you today doesn't and, best of all, is also incredibly cheap. 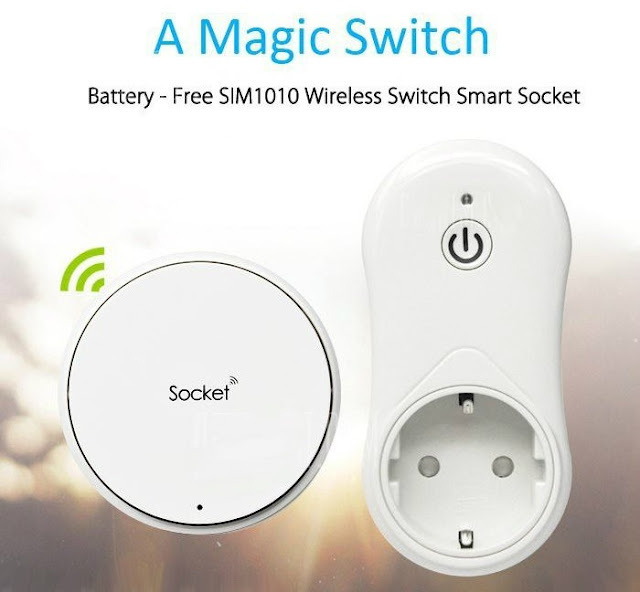 The Magic Switch works like magic, but what it actually does is to use the physical motion of pressing the button to generate enough power to send a radio signal to the receiving socket module. It's quite ingenious, and you can grab a switch and wall plug module for just $9.99! Should you wish to control lamps, or wired devices, you can also find a version with a switch and 2 receiver modules for $19.92. These are good for up to 10A, which allows them to easily control lamps, fans, and all sorts of electric devices.